Peldon Village Hall Management Committee announces that its preferred contractor to build the new village hall in Peldon is Stroods Specialist Contractors of West Mersea. After an extensive tendering process, Stroods emerged as the clear winners with a proposal that met our budget expectations. We’re delighted that, after several years spent working on the project, we’ve reached the stage when the building work is about to start and that we’ve been able to appoint a local firm with a good reputation for efficient delivery and strong connections to our village. We’re very pleased to have been selected to carry out this project to replace a critical community asset with an exciting new building that will be of great benefit to the residents of Peldon and the surrounding area for many years to come. We’re looking forward to working with the Management Committee in the coming months. 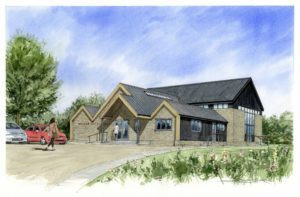 The Management Committee expects work to start on site in November with the new hall completed by the summer of 2017. Colchester Borough Council’s Big Choice Fund. The remaining funds are coming from money raised by the Village Hall’s many fundraising activities over the last 6 years, including its recent Buy-a-Brick appeal which remains open, and from commitments from residents to lend the hall any final remaining funds by investing in PVH Bonds. The Management Committee would like to express their sincere thanks to the grant funders and to all residents whose support over the years has made the project possible. But, before demolition, there will be one last event in the hall, a farewell party on October 30th from 5.00pm to 9.00pm. 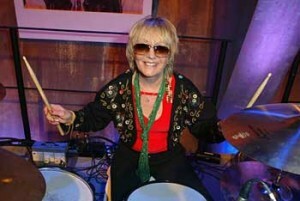 The entertainment will be provided by the Crissy Lee All Stars featuring Paul Wood. Paul is the singer with the Glen Miller Orchestra; his repertoire includes Frank Sinatra, Tony Bennett, Sammy Davies Jr and Michael Buble among many others. As well as a licensed bar there will be teas, coffees, snacks and cakes for sale. With limited numbers you should book early, tickets are £8.00 each. To book them contact Bob Holmes on 01206 735510 or [email protected].